American CME delivers quality education to the pre-hospital emergency medical professional at no cost. We offer all of our State mandated CMEs at no cost. With the demand to do more with less, American CME delivers quality education to the pre-hospital emergency medical professional at no cost. We have designed American CME to be a long-term resource for organizations. 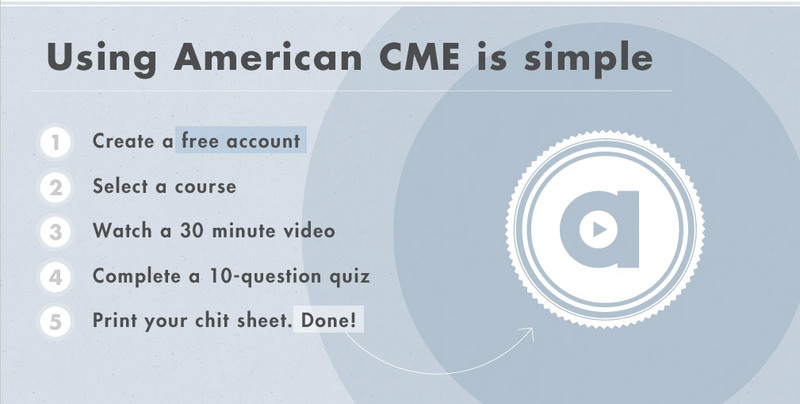 Our no cost platform allows organizations and individuals to receive the finest online training available and incorporate American CME into their daily routine, without the worry of cost increases or grant availability. The best part is that it's 100% FREE! American CME was created by emergency responders for emergency responders. As health care professionals working in the field, we know how difficult it is to fit training into your busy schedule. American CME is here to make it easier for you to access the training you need to stay current with your states continuing education requirements. This course will focus on the identification of opioid overdose and the treatment of this condition with Narcan by first responders. The students will gain an appreciation for the magnitude of the opioid overdose epidemic as well as an understanding of how first responders can intervene with Narcan to prevent mortality. 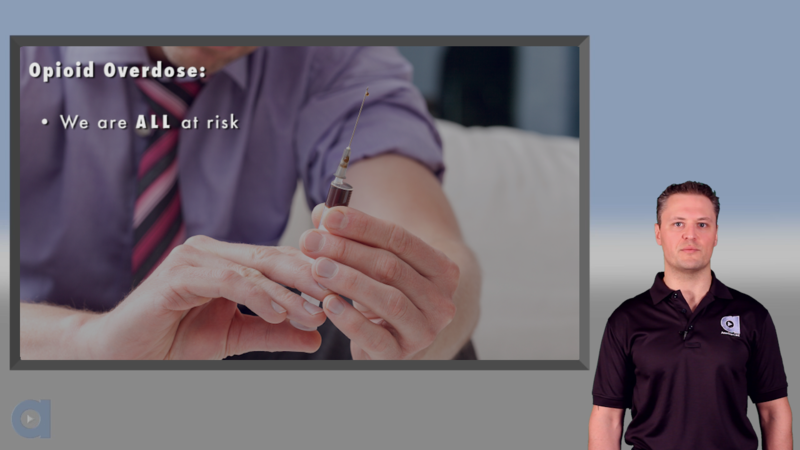 Upon completing this course, first responders will possess the knowledge and skills necessary to prevent an opioid overdose patient from possibly becoming another statistic. There is widespread evidence that the majority of EMS personnel can expect to be assaulted at some point in their careers; however, how severe, and when that assault will occur is difficult to determine. This course seeks to establish a better understanding of the importance of having a comprehensive plan on how to deal with violence that includes the right for EMS personnel to defend themselves, and steps to identify, avoid, or deescalate emerging threats. 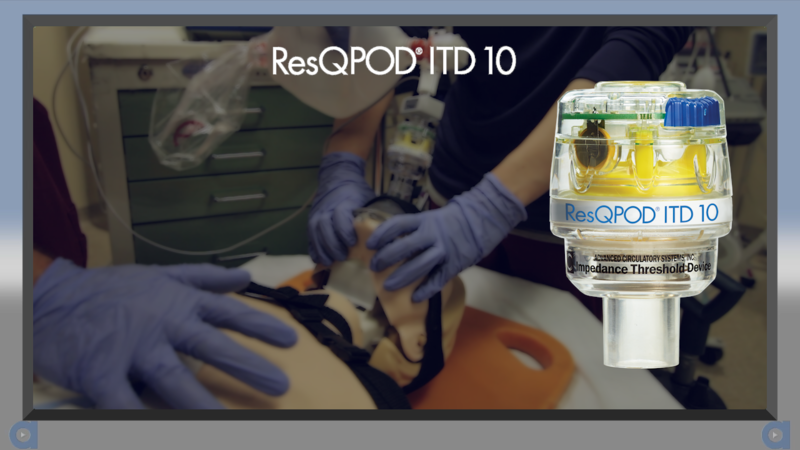 The ResQCPR System is comprised of the ResQPOD ITD 16 and the ResQPUMP ACD-CPR Device. This device combination provides Intrathoracic Pressure Regulation (IPR) Therapy to maximize vital organ blood flow and provide perfusion on demand during cardiac arrest. The goal of this course is to provide you with essential information about the ResQCPR System and how to perform active compression decompression CPR (ACD-CPR) with an impedance threshold device (ITD) on patients in cardiac arrest. T​he ResQPOD is an impedance threshold device (ITD) that provides Intrathoracic Pressure Regulation (IPR) Therapy to maximize vital organ blood flow and provide perfusion on demand during cardiac arrest. By selectively preventing unnecessary air from entering the chest during chest wall recoil, the ResQPOD enhances the vacuum in the chest that increases preload and lowers intracranial pressure; as a result, more blood is circulated to vital organs. The goal of this course is to provide you with essential information about how an ITD works, and how it is used during CPR to enhance blood flow. We commit to providing convenient, professional continuing education to help fulfill your State's education requirements.